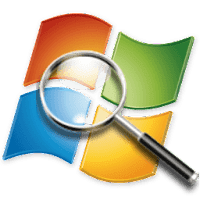 Process Explorer is a freeware task manager and system monitor developed by Sysinternals, which has been acquired by Microsoft. It's an advanced process management utility that picks up where Task Manager leaves off. It will show you detailed information about a process including its icon, command-line, full image path, memory statistics, user account, security attributes, and more. Disclaimer: Direct downloads for the lastest version of Process Explorer 16.21 are provided by the official software's author, we can't guarantee safety, availability or download speed. Moreover, we don't and we won't provide any pirated/illegal versions or tools. We recommend you to avoid it as these methods can harm your device. If you like the software, buy it to support the developers. (We provide software discounts for many worldwide brands).